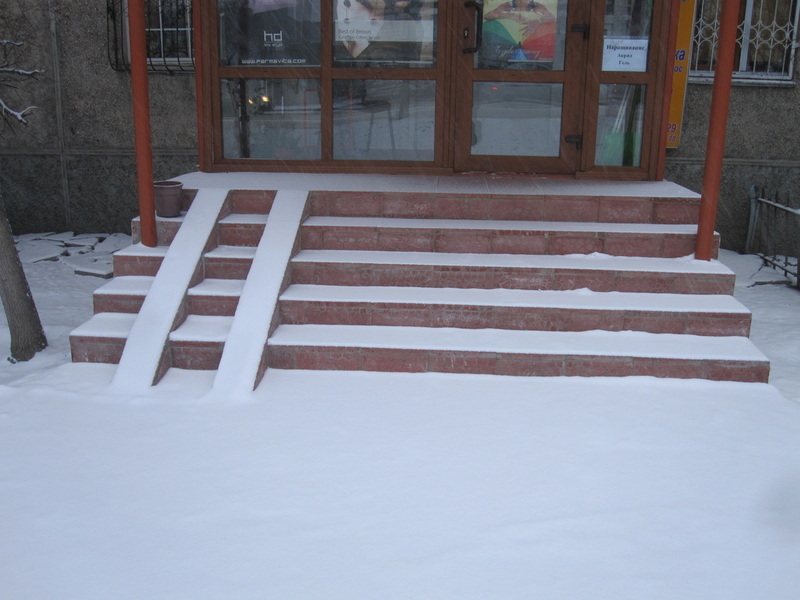 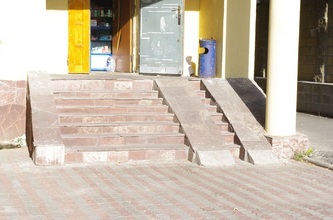 The only time I've ever seen a paraplegic in Almaty, she was being carried up some theatre steps by her devoted family members. 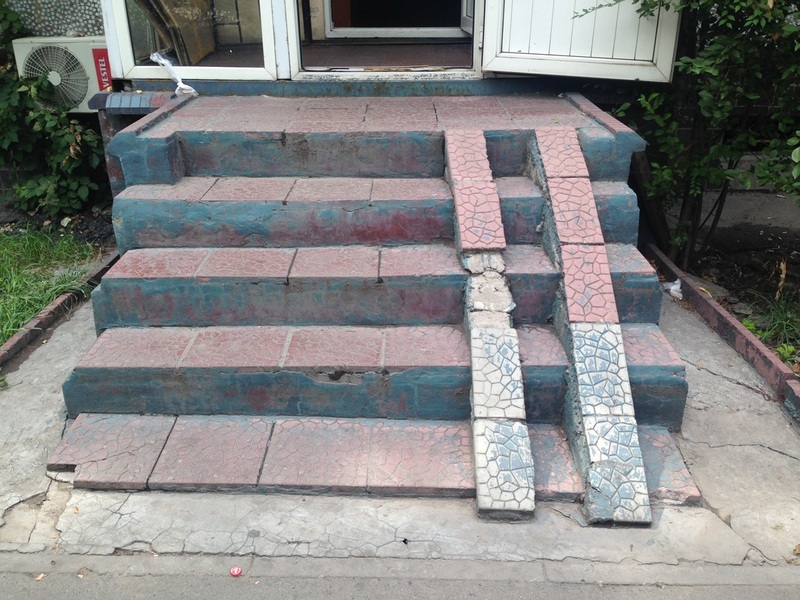 This woman, I must say, was brave to even roll out her home, as Almaty is aggressively unfriendly to those who roll. 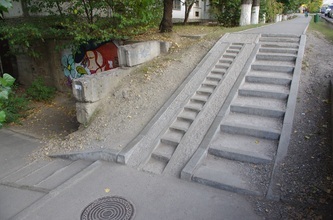 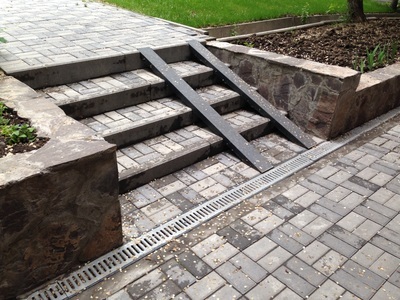 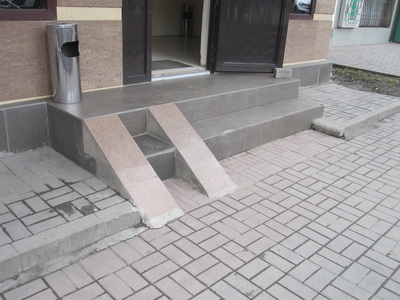 Ramps here seem to be built if only to mock those who need them. 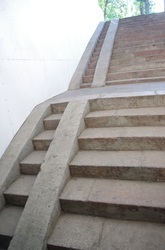 They are impractically steep, without rails, paved with slippery marble, and, perhaps strangest of all, they are everywhere. 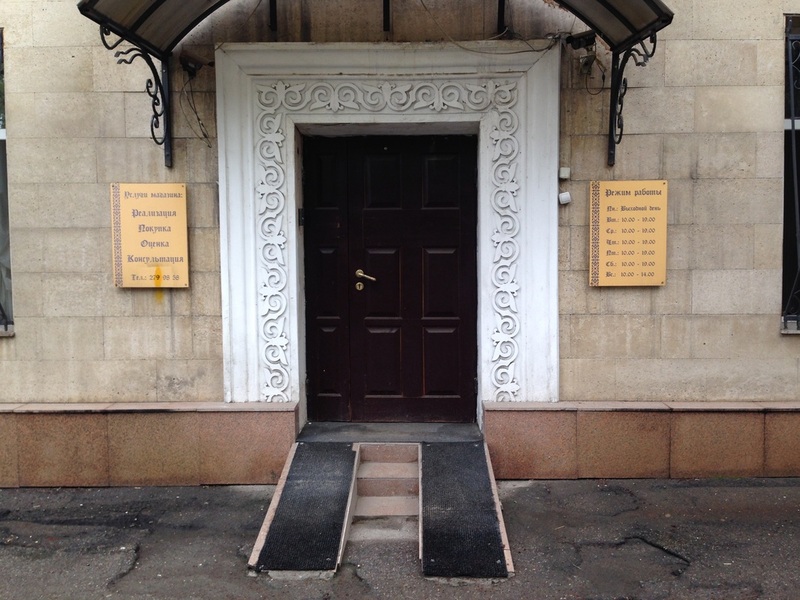 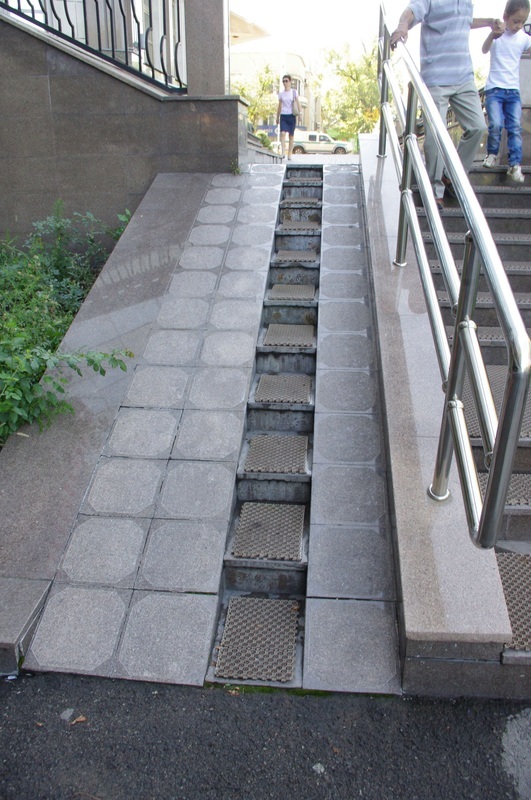 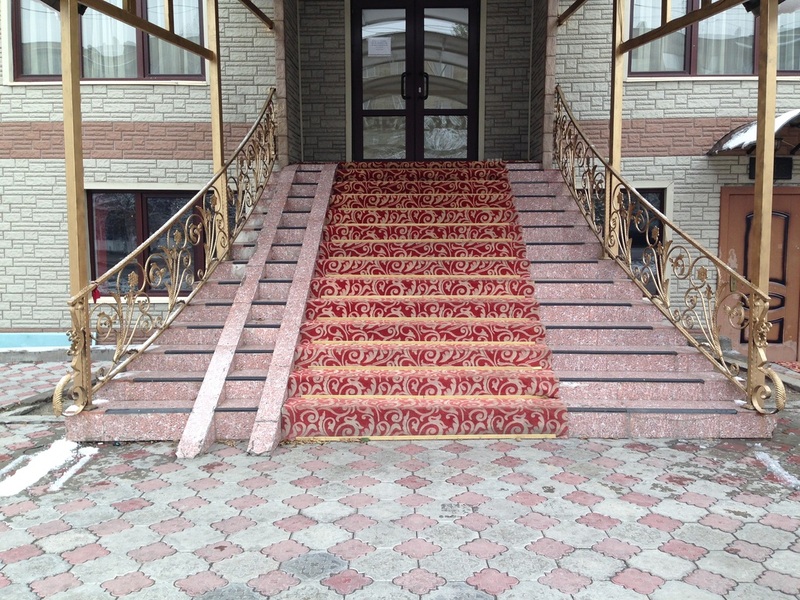 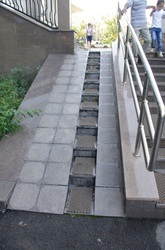 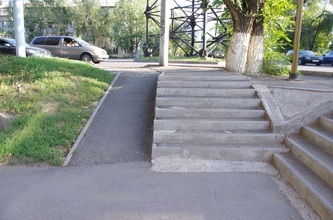 Wheelchairs remain confined to hospitals while access ramps are ubiquitous. 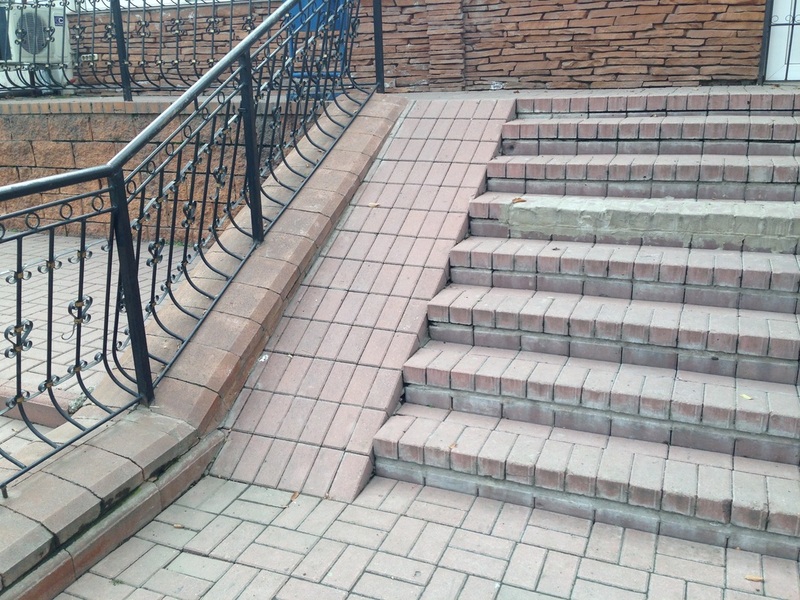 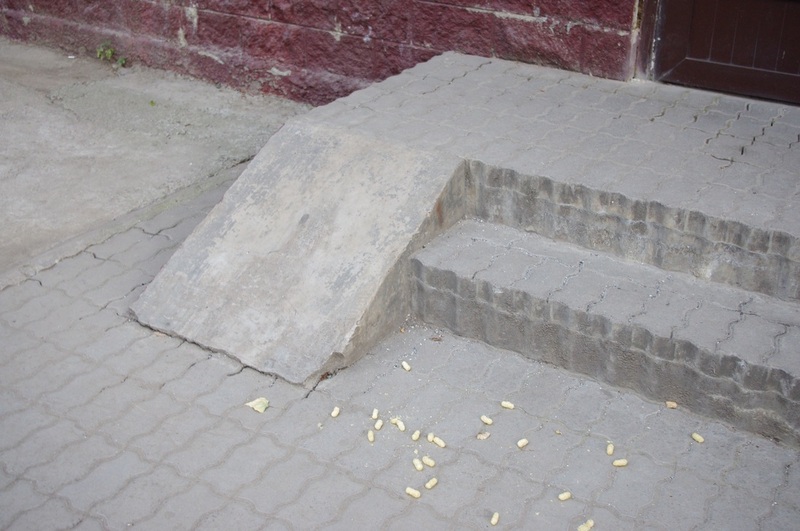 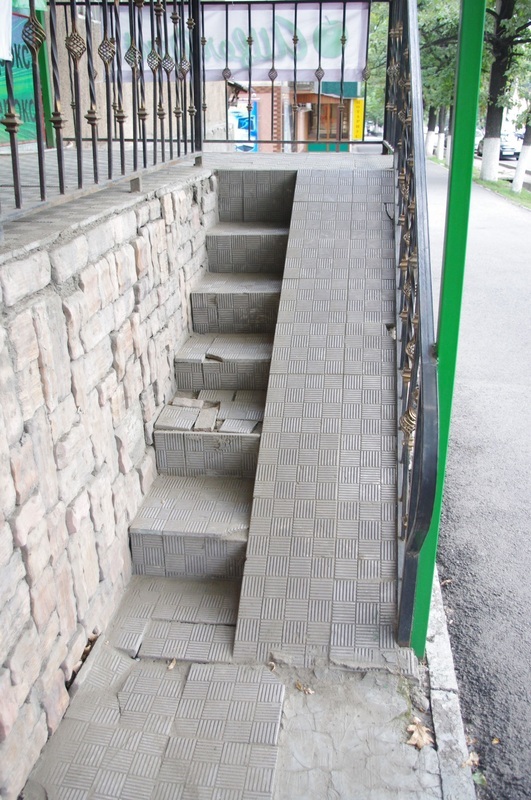 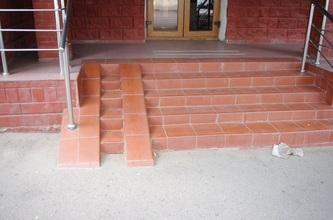 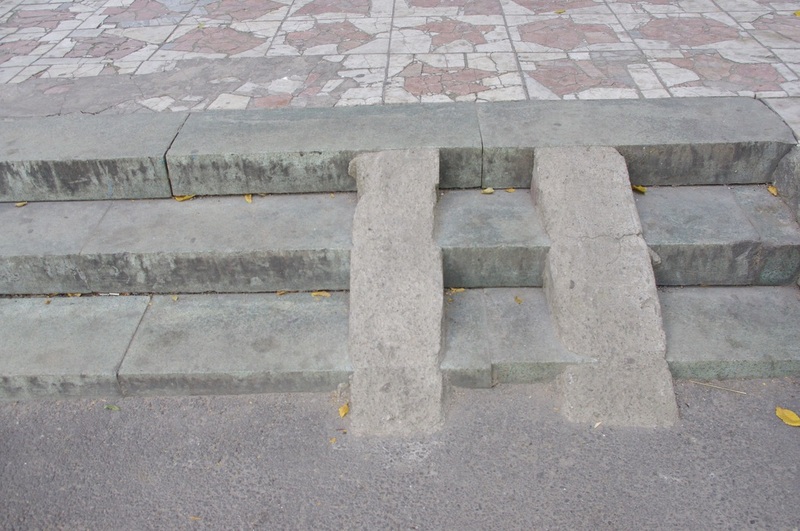 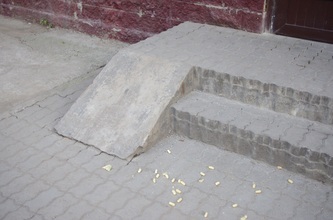 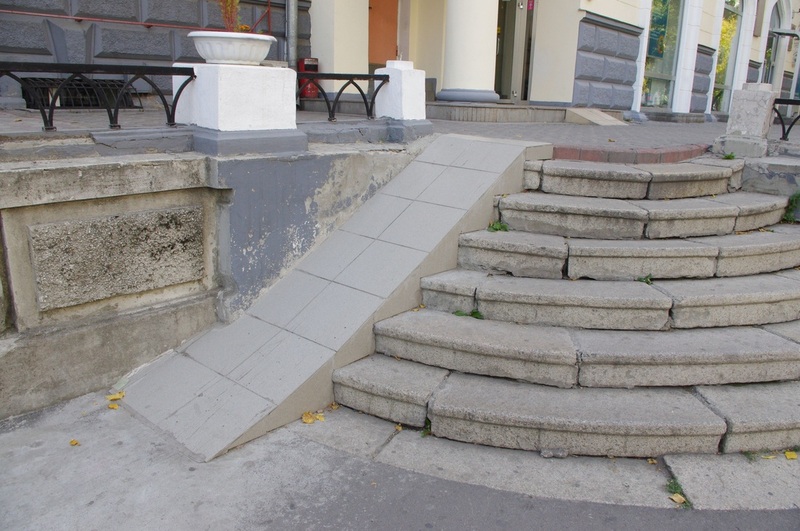 It is possible these stunted ramps are treated as a bureaucratic chore, necessitated by some municipal code. 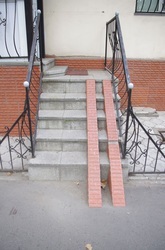 The only law I could find on the matter was from a national bill on the rights of invalids. 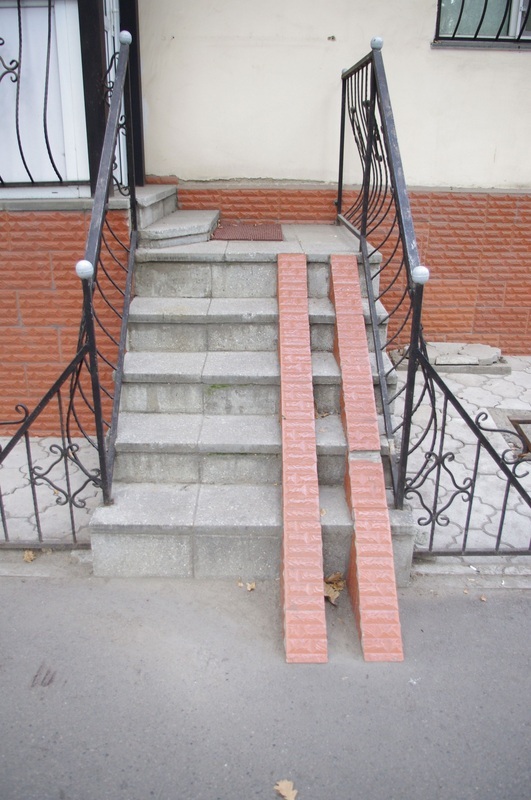 "Business owners are obliged to provide easy access for people with disabilities to public transport vehicles, residential, public, and commercial buildings and structures", it reads. 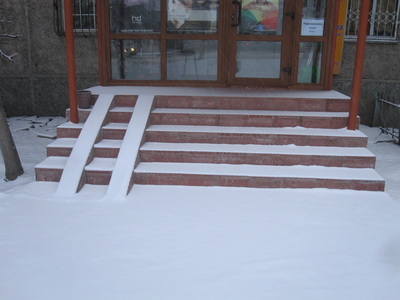 With limited space and tight budgets, these business owners have ticked off this requirement with absurdly-angled death traps. 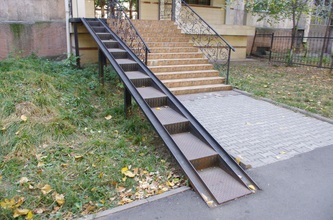 Disabled people like the poor theater-goer better have family members who weight lift. 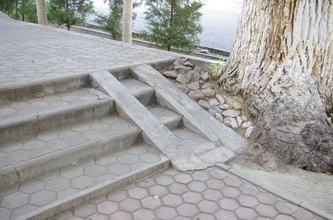 There's only one other possible justification for these overlooked elements of the Almaty landscape: strollers. 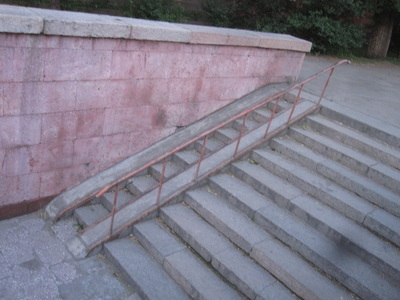 Yet I've seen parents haul their strollers up steps rather then risk a ramp ride. 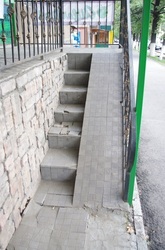 There are rare occasions where I see them finally put to use. 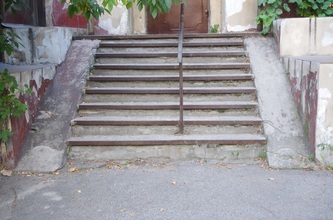 Just the other day, I saw a fun-loving dad (or maybe a guilt-free uncle) perch his kid's stroller at the top of one of these ramps and mock-scream "Davai, davai!" (Давай, давай · "Let's go!"). He let go, and the kid screamed in terror as the stroller careened down.